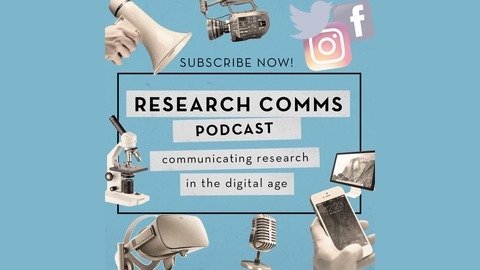 Welcome to Research Comms, a podcast exploring the theme of research communication in a digital age, presented by Peter Barker and Orinoco Communications. How can we ensure that research has a positive impact on society? How can we make sure the public has a voice in conversations about the research that will have profound effects on their lives? Research Comms sets out to answer these questions and more through interviews with those who are doing the most inspiring work in the field of research communications and public engagement. How do you tell the story of an 800+ year old academic institution - one of the most famous universities in the world - using the most modern of communications methods? Barney Brown has been doing that for the past decade as Head of Digital Communications at Cambridge University where he has headed up an award-winning team that not only generates excellent digital content of its own but also embraces other creators who form part of the university community, such as student vloggers. In this episode of Research Comms Barney Brown talks about the power of authenticity, how academic institutions can tap into the creativity of their members, as well as giving advise on what social media platforms offer the greatest returns on investment. 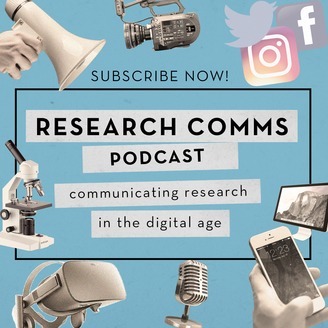 Research Comms is produced by Peter Barker, digital media producer and director of Orinoco Communications, which is a communications agency that specialises in the communication of research and innovation in science, the social sciences and humanities.